Are you living your life on purpose or by accident? Are you living your priorities or your obligations? Are you living life or is life living you? Charles Perkerst said, “Purpose is what gives life meaning.” What gives your life meaning? What is it that inspires you, wakes you up in the morning, drives who you are and what you do? Fulfilling this dream is what gives purpose and meaning to life. I believe many, at some point in their journey, get to the point that you ask yourself, “Is there something more to life?” With the ever-increasing amount of pressure placed on our lives today, this question is being asked more and more. People are searching for something more! Victor Frankl, a man captured and tortured in the Nazi concentration camps, lost everything, including his family, stripped even from his clothing, left for dead many times, still had the will to live. In his book, Man’s Search for Meaning, said “Many mental and emotional illnesses are really symptoms of an underlying sense of meaninglessness or emptiness.” Frankl had a reason to live strong enough to overcome the struggle to push through. Frankl has said that in the concentration camps, when people would lose there will to live, they would be dead by morning. In life, if you reject that you’ve been created than purpose is meaningless. God is the only one who can give true meaning and purpose to your life. As we detect our purpose, one man likened this process to discovering and unearthing an important archeological artifact. This is a time-consuming process that as small layers of soil are removed, the artifact becomes more and more visible until it is totally unearthed and displayed to the world. Individually, our purposes in life are a lot like that. We may feel for years as though we are digging for it. This can be a slow and painstaking process. But sticking to the search, we eventually start to uncover small bits and pieces of what God has built and equipped us to do. 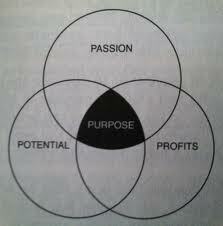 Continued exploration, our purpose becomes clearer, than enthusiastically embraced. As General Douglas MacArthur said, “Every man should be embarrassed to die until he accomplishes something great in this world.” Many times doing something great in this world may mean that you have done your personal best and are faithful wherever God has placed you. It doesn’t have to be loud and noticed by the world. Through many successes and failures in my life, God has revealed His purpose. It has been very slow and painstaking, but in the midst of the storms of life there has always been that underlying sense of purpose. As my mother always told me, “God has a very special purpose for you.” Among others, Charles ‘T’ Jones and Orrin Woodward are two men in my life that have been great examples and mentors to help detect my purpose. My wife and I are so grateful that God brought TEAM/LIFE at a very critical time into our lives. TEAM/LIFE is a community of like-minded people on a journey together. The individuals, couples, and families that my wife and I have had the privilege to help through the TEAM/LIFE system has been incredible. If your purpose is to be the best house-wife, father, mother, child, doctor, lawyer, pastor, teacher, ditch digger, accountant, janitor, physical therapist, manager, supervisor, etc. the TEAM/LIFE system will help you in all areas of your life. This is exactly what Orrin Woodward, Chris Brady and the Policy Counsel have created. They detected their purpose and now thousands, soon hundreds of thousands, and then millions of people will buy into this purpose of making a difference in people’s lives through the TEAM/LIFE system. Not only are people buying into this vision, Orrin and the Policy Counsel are mentoring and duplicating themselves into other leaders who will in-turn develop other leaders. And in that, TEAM/LIFE is creating a new industry. Just as McDonald’s and Ray Kroc; Wal-Mart and Sam Walton; Microsoft and Bill Gates; Facebook and Mark Zuckerberg created new industries. 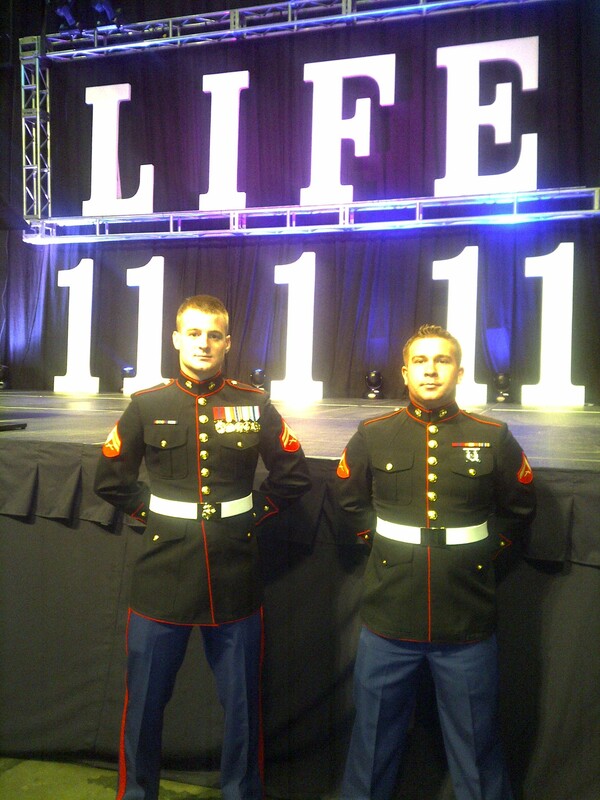 Within 5 years of 11-01-11 LIFE and Orrin Woodward will become a household name. Because Orrin Woodward detected his purpose. There is no question in my mind, God has his divine hand on TEAM/LIFE business for this moment in our history. Andy Stanley, author of The Next Generation Leader, says, “To become a leader worth following you must give time and attention to the inner man. To leave a legacy that goes beyond accomplishment alone, a leader must devote himself to matters of the heart.” Abraham Lincoln said, “Nearly all men can handle adversity, but if you really want to test a man’s character – give him power.” Orrin’s example, by the life he lives, has earned the right to go down in history as one of the most influential leaders of our time.